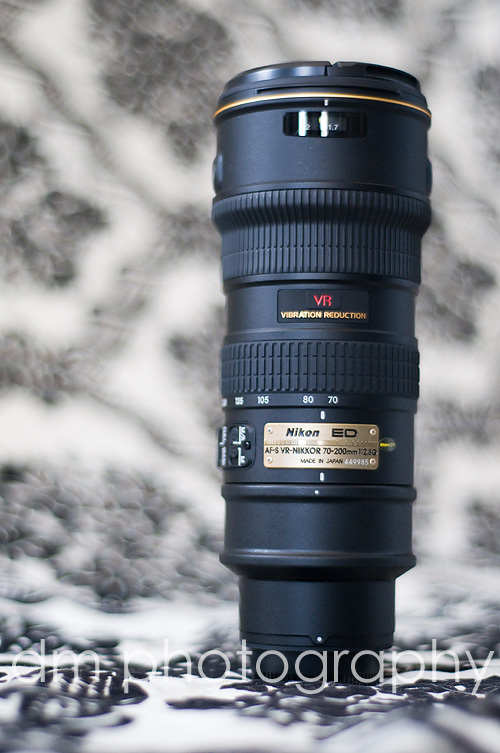 I alluded to today's Must Have yesterday...my new lens. I just got a 70-200 f.28 zoom lens. Its its great addition to the other lenses that I currently have, 35-70 f2.8 and 50 f1.8. I got to try it out a few times this weekend and I think I'm in LOVE! I love the bokah (pretty blurred background) and the way it gets me in close, without being right in your face! Anyway...here it is...I can't wait to continue to experiment with this lens at my upcoming sessions! Oh and #71 check...another one off my 101 list!